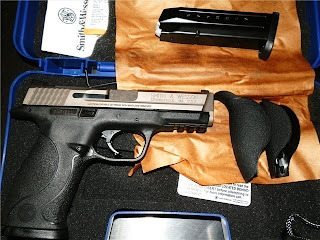 At the Range - Smith and Wesson M&P nickel boron - and a whole lot of other fun! Just another fun day at the range with my good friends. 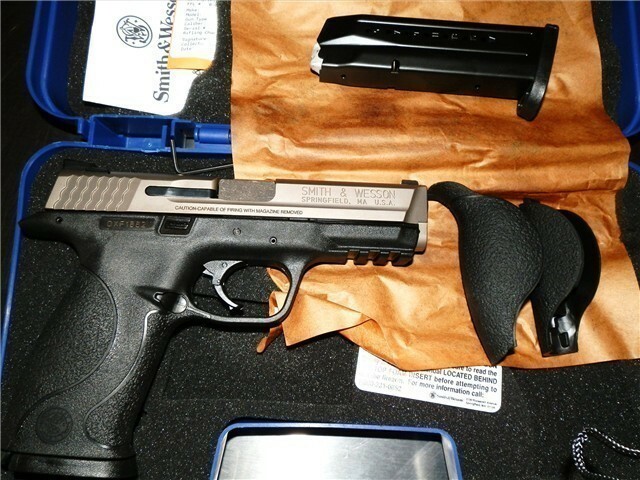 We took out my brand new Smith and Wesson M&P 9mm nickel boron. But that wasn't the only firearm we took out to the range that day, no sir. We also had two Ruger pistols, a Springfield 1911, Kimber 1911, two AK47's and a Mosin Nagant M44. All in all it was a fun day. Enjoy the video! I recently purchased a used Kimber Pro Carry II in .40, I was really excited about adding this beautiful handgun to my collection but much to my chagrin, after several trips to the range, I found that it was less than reliable. 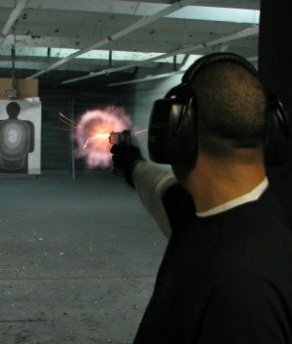 I didn't have many problems the first time I took it out (see the video below), but I started experiencing numerous failure to feed problems on subsequent trips to the range. I tucked my tail between my legs and took my Kimber to a local gunsmith where he did a quick visual inspection and immediately noticed the problem. The round were getting hung up on the lip of the barrel where it meets with the feed ramp. This explains the crescent shaped indentation on the bullets that weren't feeding into the barrel. The gunsmith was a little skeptical about the prospects for correcting the problem but I am more optimistic because the failures to feed were few and far between, meaning a good polishing of the feed ramp and the lip of the barrel ought to correct the problem. The gunsmith said I could expect to get my pistol back in a couple weeks, so stay tuned for a future update. 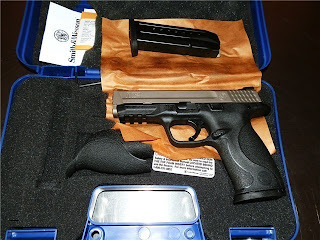 I got a phone call this morning from Chester at Surplus Ammo and Arms, my favorite local gun shop, letting me know that my Smith and Wesson M & P 9mm had arrived! The Smith and Wesson M & P was the very first model of firearm that I ever purchased. Unfortunately, I had to sell my first one because there was a certain young lady I wanted to take out on a date several years ago, and I had no money. So I went down to my local Cabela's and sold it. But I promised myself I would buy a new one first chance I got. I bought a standard M & P a few months ago but I really wanted one of the special edition models such as the flat dark earth color pattern which is made exclusively for Cablela's, the VTAC model or the Nickel Boron Coated Slide model. I found a Nickel Boron model online and put it on layaway, meanwhile I took my second standard model M & P to the Washington State Arms Collectors Gun Show and sold my standard model for a small profit! I paid off the layaway earlier this week and today I picked it up. It's every bit as beautiful in person as it looks in the above photos. We have a trip to the range planned for tomorrow and you better believe I'm going to put this new M & P through its paces! Stay tuned for a video.